Tom Appledorn is an intellectual property attorney who provides his clients with practical strategies to protect, leverage, and monetize their technology assets, both tangible and intangible, and counsels them on risks related to technology in general. He brings to his practice a solutions-focused approach that is informed by his years of experience as an engineer developing software and hardware. Tom spent his first years at Honigman focusing on worldwide patent procurement and IP portfolio development and continues to work very closely with the firm’s IP procurement group to identify productive, cost-effective strategies to secure meaningful coverage, when available. His clients are often sophisticated and understand the value that intellectual property protection can confer; they also respect third-party intellectual property and routinely enlist Tom to audit their product offerings to identify, mitigate, and navigate through, and around, other parties' intellectual property. In the 13 years he has been with Honigman, Tom has become a close, trusted advisor when technology, data, privacy and other technical matters are at play. 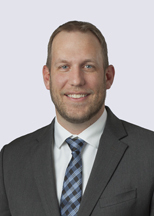 In addition to the respect he has garnered from clients, he is also sought out and highly regarded by firm colleagues and lawyers outside of the U.S.
Tom’s experiences range from the high technology of Silicon Valley to the automotive companies of Detroit and elsewhere (OEMs and suppliers). He has experience helping to merge these two cultures in the autonomous vehicle space, which can be challenging if the parties involved do not understand the cultural differences and underpinnings that drive the culture divide. Tom’s counseling and unique perspective can narrow that divide to yield a more productive conversation from the outset.